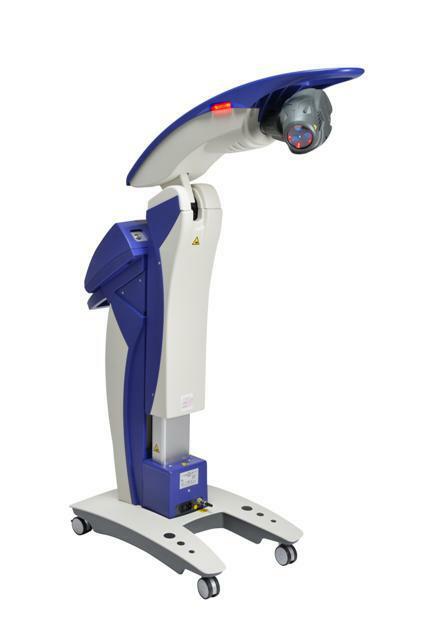 We are excited to introduce the New Robotic MLS Laser Therapy our practice! This fantastic technology allows us to treat Arthritis pain, Bursitis Pain, Sports Injuries, Sprains and Strains, Repetitive Motion Injuries, Post-surgical swelling, Tendonitis and much more! It is a non-invasive, pain-free way of healing quicker. In a nutshell, the Robotic MLS laser stimulates the mitochondria in the cells to jump start the body's own healing process. Laser energy stimulates cells to remove toxins out of the cell and allow oxygen into the cell. Laser light increases ATP production and cell growth. It brings blood flow to the area and increases the development of new blood vessels. Treatments are cumulative of the previous and patients will need a treatment about every other day based on their condition. The Robotic MLS Laser is a Class IV Laser and features 2 wavelengths, 808 nanometers, and 905 nanometers. The wavelengths are in the infrared spectrum. The 808 wavelength is for inflammation and is long lasting. The 905 wavelength is analgesic and is fast acting. The MLS Laser Therapy was cleared by the FDA in 2002 and is currently being used by a variety of medical specialties as well as professional sports teams. your MLS Laser Consultation, call our office today!